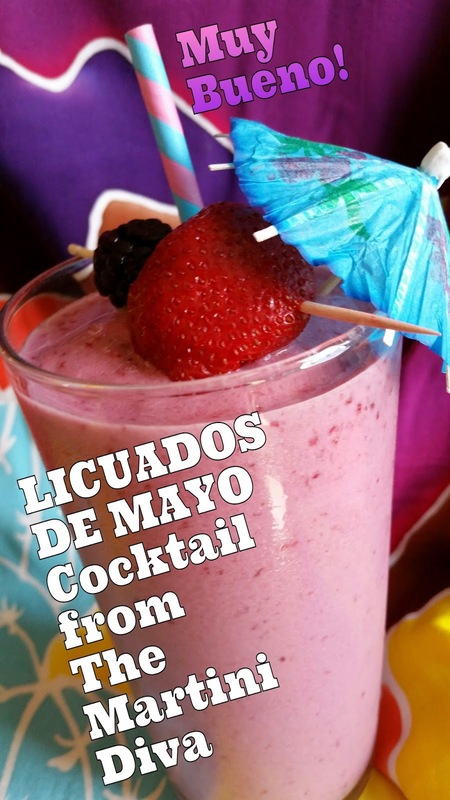 LICUADOS: Spanish for "blendeds" or "liquifieds". 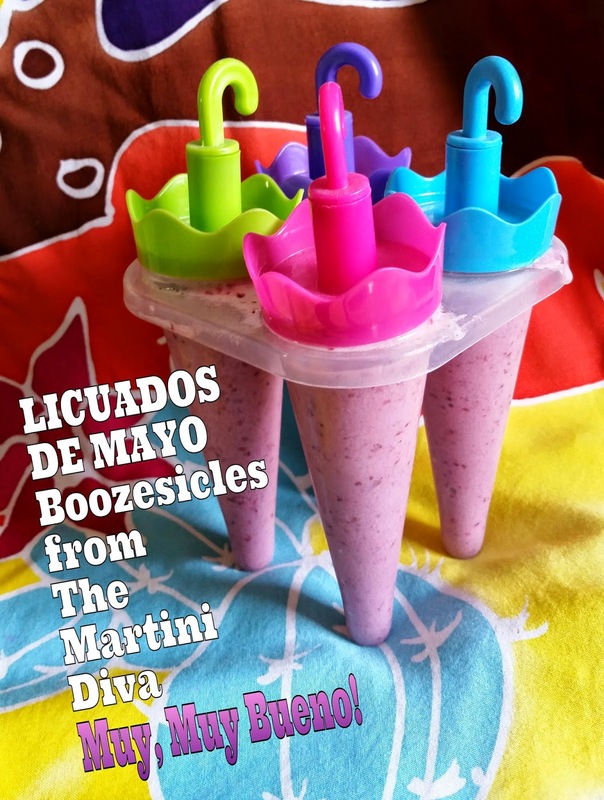 Licuados, also known as Batidos, are a non-alcoholic Mexican version of a smoothie, much like an American milkshake but using milk instead of ice cream. They are typically made with assorted fruits mixed with milk, sometimes a little fruit juice then blended with ice until smooth. Occasionally nuts or honey can be added, it all depends on where you are and which street vendor you're buying from. Since I had extra homemade pineapple juice leftover from my Strawberry Pina Colada, a few assorted berries I didn't use in my Pimm's Berry Cup and a fresh banana that's what went into mine. I did add some non traditional rum because, well, adding booze is just in my wheelhouse and rum goes so well with fruit! 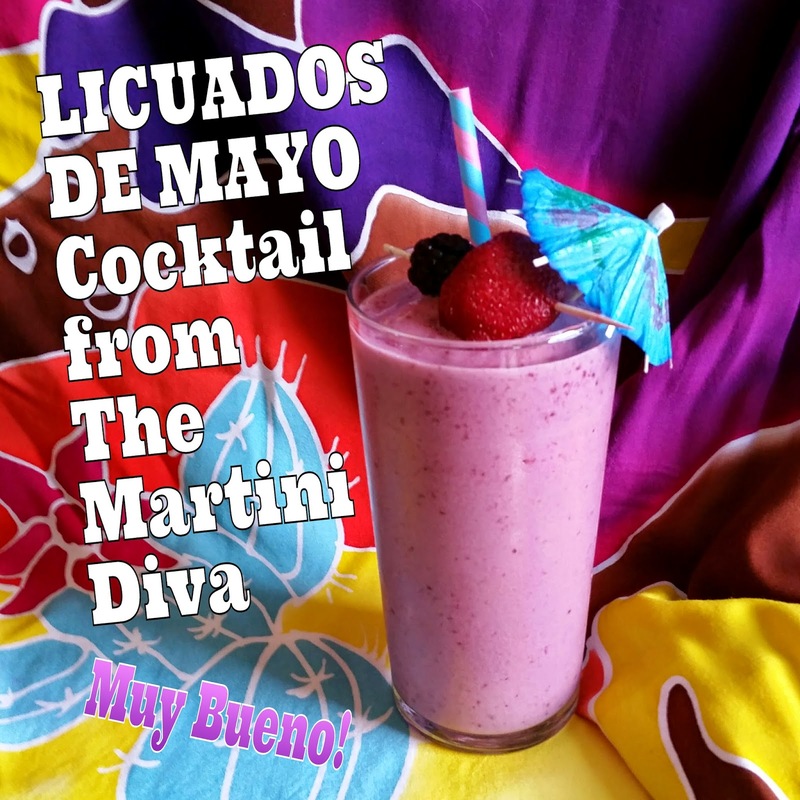 Leaving out the rum is not an issue if you prefer because a licuado is traditionally non-alcoholic. It's up to you, this drink is great both ways! INGREDIENTS: 2 Oz. Dark Rum - Cocktail Only 1-1/2 C. Milk "Ice", Milk Frozen into Cubes 1 Banana 1/2 C. Pineapple Juice 1 C. Assorted Fresh Berries Save a few pieces of fruit as a garnish. DIRECTIONS: Simply add all the ingredients to your blender, pulse until smooth and creamy, garnish and enjoy. For the non-alcoholic Mocktail version simply leave out the rum! If you watch the video below you'll notice I had nice amount of my drink left over after 1 large serving. If you're not serving a guest or drinking both, you have enough left over to make some cocktail popsicles, what I call Boozesickles! Just take the extra and pour it into popsicle molds and freeze. Salude! Amor, Riquezas ... y tiempo para gozarlos! Cheers! To health, love, wealth ... and the time to enjoy them all!